BOSTON, July 18, 2011 — The verdict is in at the Haskell County Courthouse in Texas, where a new high-quality audio system is delivering news and entertainment to the local population. 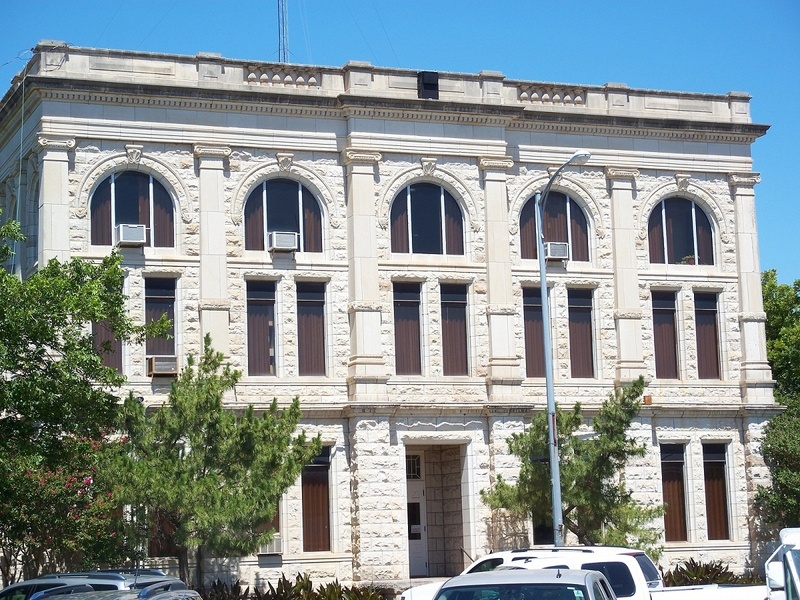 The three-story, 100-year old building in Haskell, Texas, received a major audio upgrade via four Technomad Berlin 9040 narrow dispersion loudspeakers. Mounted high on the building’s 60-foot-high roof, the Technomad system replaces an outdated PA system scarred by time and weather. Technomad also supplied a mixer and two wireless handheld microphones for the audio headend. The Berlin 9040 weatherproof loudspeakers reproduce intelligible voice and full-frequency music for special events such as parades and rodeos, carrying announcements and musical entertainment across the courthouse square. The loudspeakers can double as an emergency broadcast system in the event of a tornado, wildfire or other public safety event in town. Like all Technomad loudspeakers, the Berlin 9040s are fully weatherproof, ideal for the harsh climate of north-central Texas. The loudspeakers are built to withstand the region’s extreme summer heat (routinely topping 100 degrees), intense year-round UV rays, and heavy rains and lightning storms of the spring and autumn months. The Berlin 9040 loudspeakers, as installed by Tru-Sound Studio of Stamford, Texas, face north, south, east, and west, projecting clear audio over an area that spans the equivalent of three city blocks. 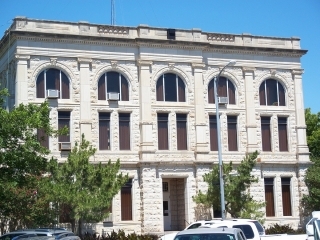 According to Ray Clark, owner of Tru-Sound Studio, the Berlin 9040 was the most ideal fit for the Haskell County Courthouse based on power, quality and durability. Clark took advantage of the Berlin 9040’s flexible mounting options, anchoring each loudspeaker at the center of the roof using quarter-inch chain for extra safety precautions. The installer ran wires down the exterior of the building, adding to the uniqueness of the installation. 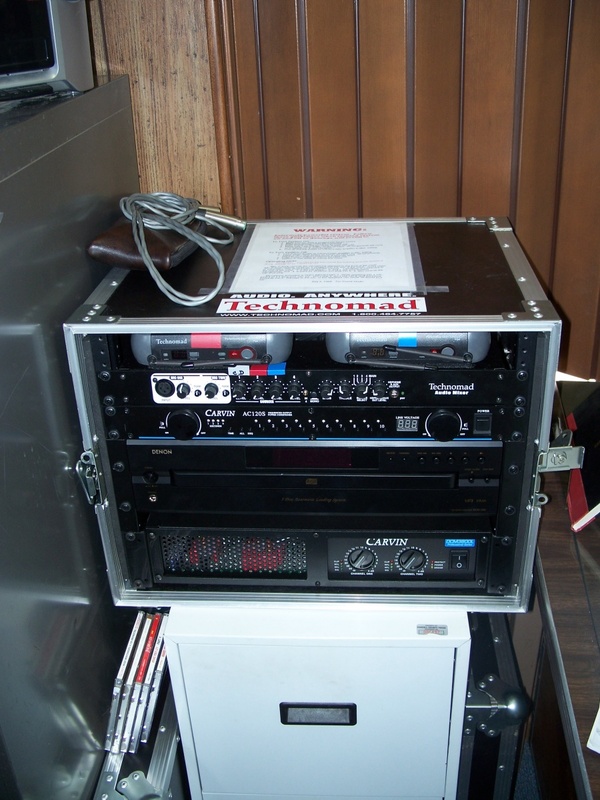 This allows courthouse staff to operate the system from both inside the courthouse and outside at the gazebo on the town square. The Technomad Berlin 9040 is a powerful, IP56-rated, two-way full-range loudspeaker. Its creative design offers constant directivity to maintain a consistent dispersion pattern of 90 degrees horizontal x 40 degrees vertical, while retaining the high-audio quality and rugged design that are benchmarks of all Technomad loudspeakers.